We want to question the development and stakes of online cultural uses and practices that modify our relationship to images. Developed over a period of two years, Image_lab is an exciting project which includes the gradual implementation of online modules and a place to experience and reflect on the moving image. 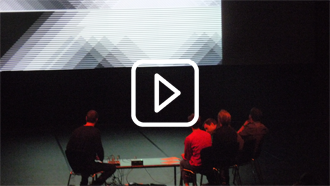 Skybox gives access to the online broadcast of moving images. It offers regular screenings with the possibility to change the presentation formats, the images and the sounds in a three dimensional space. The successive versions of this space will resemble stages of reflection on the online experience of moving images. 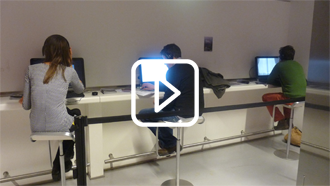 The video library, which gives reserved access to those accredited for the Les Rencontres Internationales, brings together film and video programmes as well as works offered exclusively in the library. This allows for reviewing of specific parts of the programme, or in order discover the works through a thematic or geographic research.